When: Tue., April 23, 6-9 p.m.
As part of National Poetry Month, we will be having our first ever Poetry Slam at Word Humboldt! 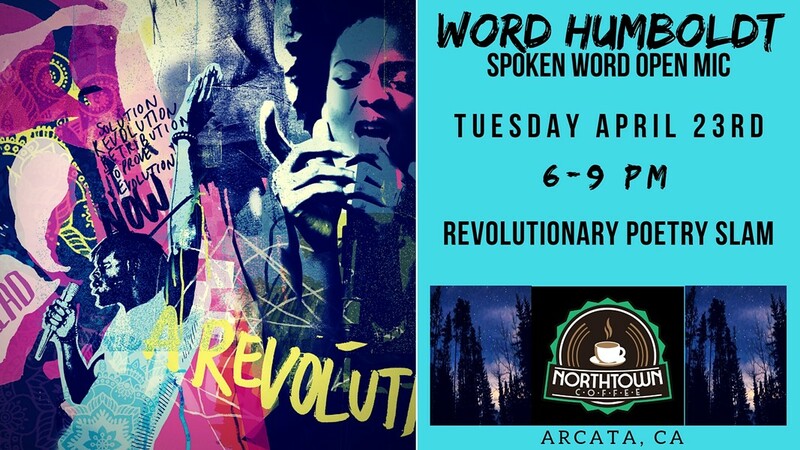 The Theme: Revolutionary Spoken Words Bring your words to spark change and compete or enjoy a night of amazing poetic competition as iron sharpens iron! There will also be a short open mic to start the night. $5 Buy in for slam, cash prize for the winner!